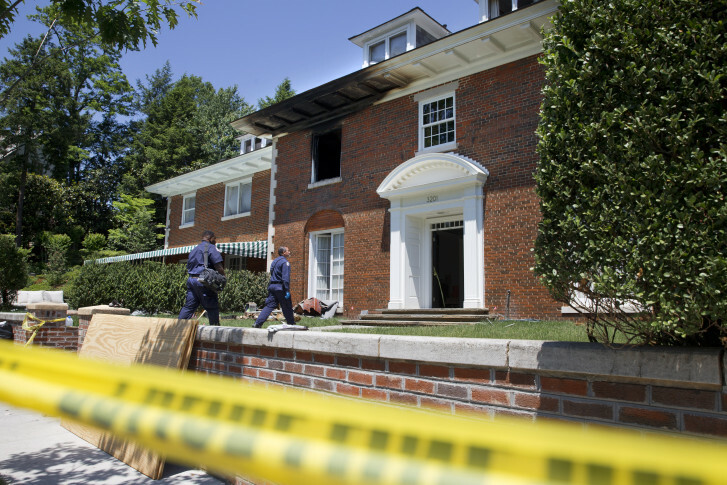 A family of three and a housekeeper were found killed inside the burning Kalorama home in May 2015. For more than three years, only one man has faced charges. WASHINGTON — There is a break in the high-profile case of a family and its housekeeper killed in their northwest D.C. mansion back in 2015. For more than three years, only one man has faced charges. On Friday, a judge ruled there’s enough evidence to prove there could be a second suspect. From the start, investigators said it would have taken multiple people to pull off the hostage situation that turned violent in Savvas and Amy Savopoulos’ Kalorama mansion. The couple, their 10-year-old son Philip, and housekeeper Vera Figueroa were found killed inside the burning home in May 2015. Charged with their murders, 37-year-old Daron Wint is set to stand trial in September. Last week, his defense team dropped a bombshell: It had evidence to prove there could be a second suspect. Court documents reflect that the prosecution objected, filing a motion that the defense be made to share that evidence. While the public won’t know until the trial, court records show that Judge Juliet McKenna reviewed the evidence and found the defense can support its theory in the trial. She also ruled it doesn’t have to share it with the prosecution.